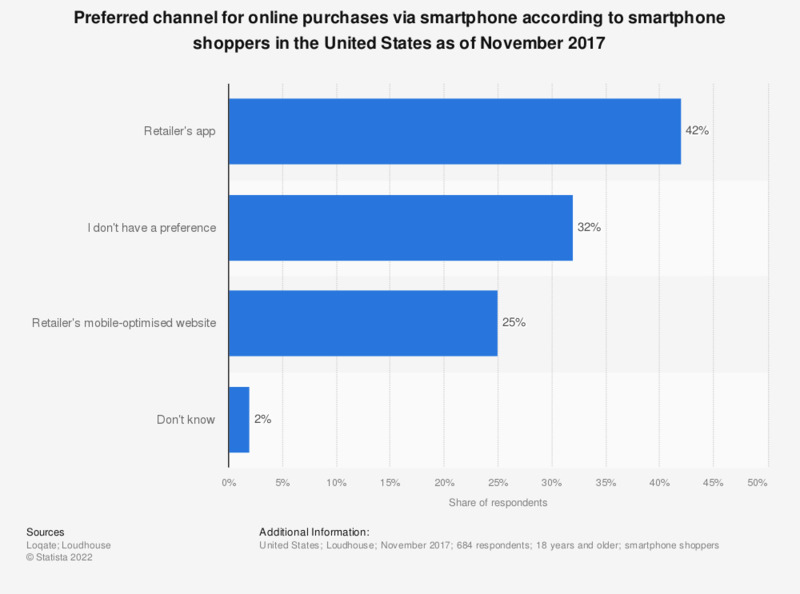 This statistic presents information on the shopping channel preferences of U.S. smartphone shoppers as of November 2017. According to Loqate, a GBG solution, 42 percent of respondents preferred to make purchases via smartphone through a retailer's app. This option was particularly popular among 18 to 24 year old smartphone shoppers.